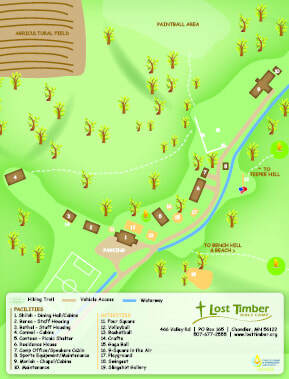 Lost Timber's facilities consist of mostly barrack style cabins with a few home-style accommodations as well. Our cabins are decorated with a woods motif consisting of tongue and groove finishings and pine bed frames. Click on the facilities below for a detailed description and interior photos of the building.